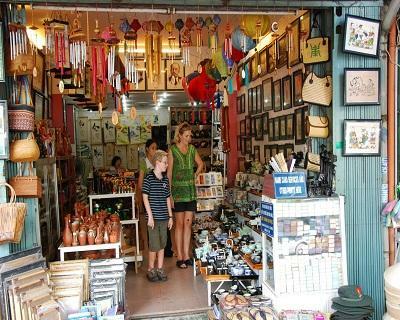 The popular and famous things to shop in Hanoi such as Silk, handicrafts, ethnic minority products, artwork and pictures, rice paper products, souvenirs, T-shirts, colorful bandanas, wooden carvings, Ao Dais (Vietnam's national dress) and much, much more; shopping in Hanoi is a veritable treasure trove and a riot of colors, tastes, smells and unfamiliar sights. Have fun and remember to bargain prices down outside of established shopping malls. 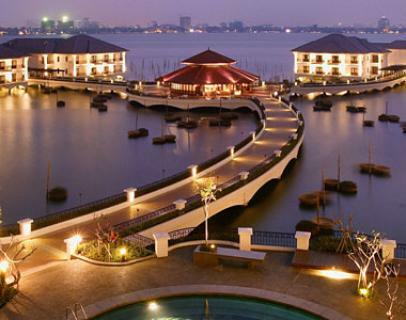 In 1969, the theater was established and since 1990, many water puppet shows have been performed by Thang Long theater artists .Since being established, the main task is to serve domestic audiences and foreign tourists with "165 performing days". Besides, Thang Long Water Puppetry Theatre has introduced this unique traditional art of Vietnam to other countries and attended International Art Festivals in Asia, Europe, Australia, Latin America. 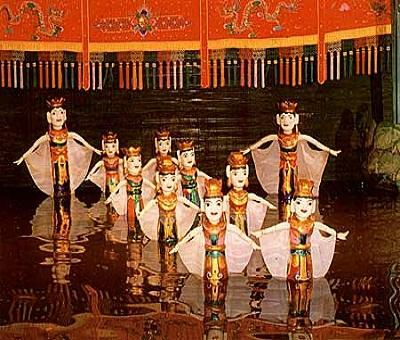 Vietnamese water puppetry shows are warmly welcomed and highly appreciated wherever they are staged. The famous Thang Long Water Puppetry Theatre has been performing in many countries such as Sydney (Australia), Athens (Greek), Spain, Portugal, Iran, France, Italy, Philippines, Mexico, America, Belgium, Brazil, Denmark, Japan, Australia, Switzerland, Korea, Hongkong, Thailand….. According to one legend, the place was originally thickly wooded and inhabited by a fox demon with nine tails. The monster was later killed by the Dragon King, the ancestor of the Viet people, who drowned it under floods of water, thereby creating a lake. Another legend , the Vietnamese monk Khong Lo (11th century), who rendered great services to the emperor of China, was allowed to take back to the country large amounts of bronze which he used to cast an enormous bell. Well the bell was rung, its sound was so powerful and carried so far so that the Golden Calf was thinking it was its buffalo-mother’s voice calling, hurriedly rushed south to her, and in its frantic search for her turned up mounds of earth and brought into existing an enormous hollow which filled with water and became a lake. 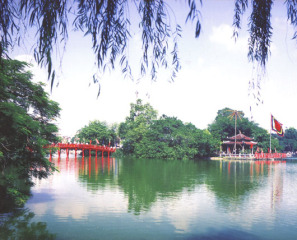 Hoan Kiem Lake situated in the heart of Hanoi, this delightful body of water also lies close to the hearts of the Vietnamese people. With legend in the early 15th century, during the Minh Chinese occupation, General Le Loi was presented with a magical sword by a divine, golden turtle, which lived in the lake’s waters. With the help of this sword, Le Loi expelled the Chinese from Thang Long, presently - Hanoi and established himself as Emperor Le Thai To. Some time later, when the emperor was sailing on the lake, the divine turtle once again rose to the surface of the lake and reclaimed the sword. 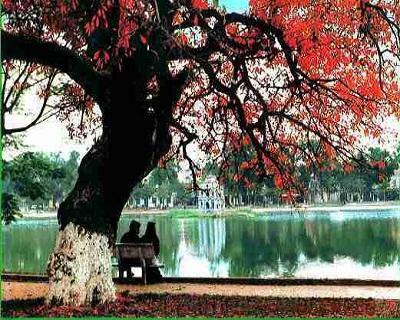 Since then, the lake has been known as Ho Hoan Kiem or the lake of Restored Sword. 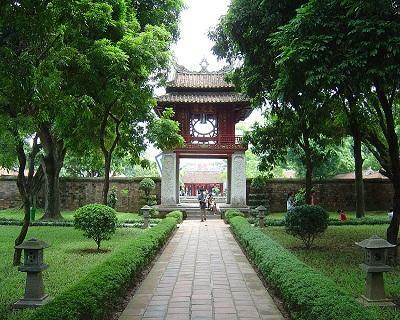 Hanoi Citadel was constructed earliest by the Ly dynasty in 1010 and remained the seat of the Vietnamese court until 1810, when Hue became the capital. 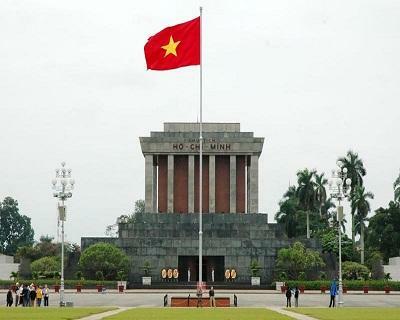 This is the site of Vietnam's first national university. 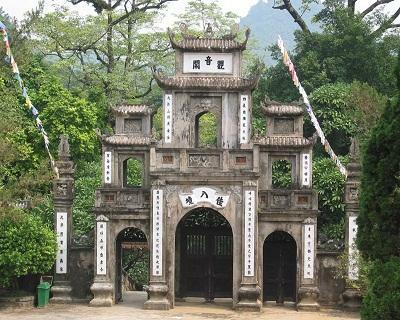 The 'temple' moniker attests to how inextricably linked learning and religion were back in the year 1070 when it was built by Emperor Ly Thanh Tong. In this case, it was actually a temple dedicated to the cult of Confucius, breaking the monopoly over education previously held by Buddhism. At almost 1,000 years old, it's one of the few remaining examples of traditional Vietnamese architecture still standing in Hanoi. 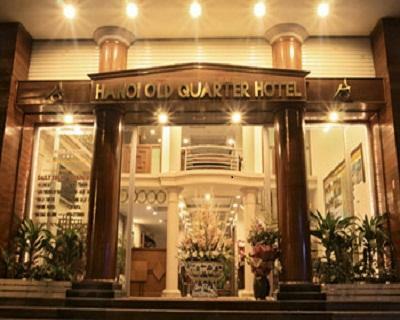 The famous Places and sightseeing you should visit when coming to Hanoi : Ho Chi Minh Mausoleum and Museum, Presidential Palace and Ho Chi Minh's House on Stilts, One Pillar Pagoda, Quan Thanh Temple, Buddhist Tran Quoc Pagoda, Ethnology Museum, the Literature Temple and Quoc Tu Giam, Hoan Kiem Lake, Ngoc Son temple, Hanoi’s Old Quarter, Duong Lam Village & Ancient Houses, Perfume Pagoda and Traditional Village as Bat Trang Ceramics Village, Van Phuc Silk Village. 1 . Hanoi Rock City : 27/52 To Ngoc Van There is live music and DJs. The main bar area is outside and a good spot for a drink in its own right and the music is on in the Red Room upstairs. 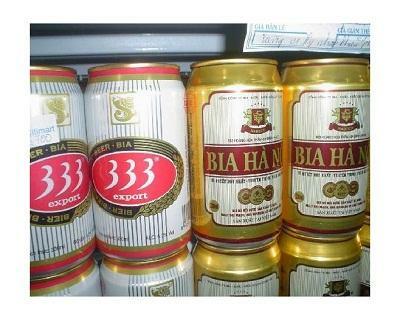 You will find good music, good beer, a good atmosphere and it is open late. Check out their website or The New Hanoian for news of what's on.